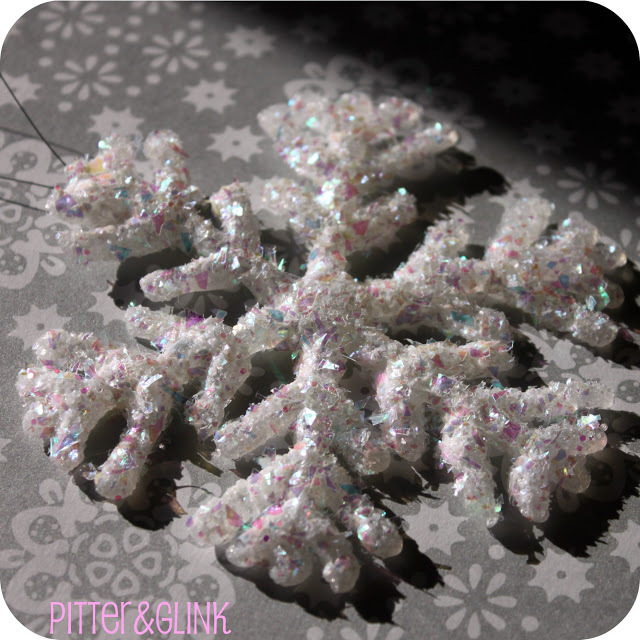 These cute snowflakes look like they’re store-bought, but they’re actually made of hot glue! 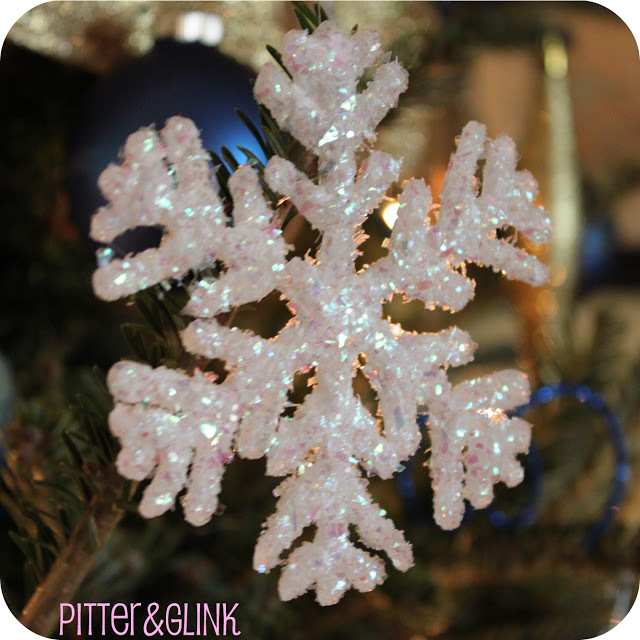 Take a look at the easy tutorial and make a bunch for your Christmas tree this year! 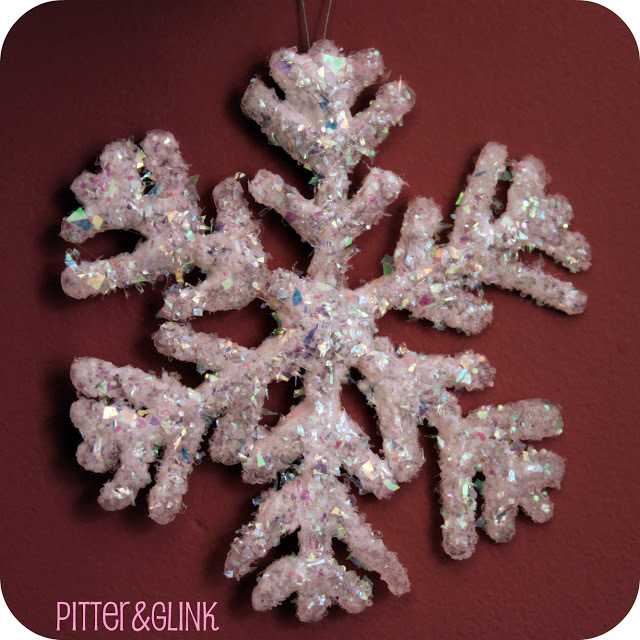 Glitter and Christmas go hand-in-hand, which is why we adore these snowflakes! They’re made of hot glue and brushed with Mod Podge and glitter. 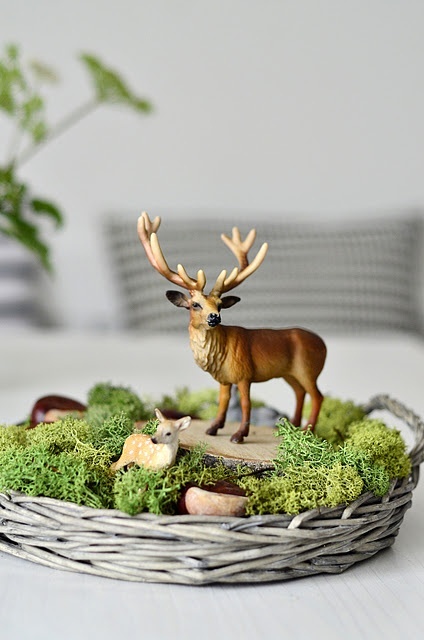 Make a set to hang on your Christmas tree, or make a garland out of them. Keep reading for the tutorial! Search google for snowflake templates and print them out. 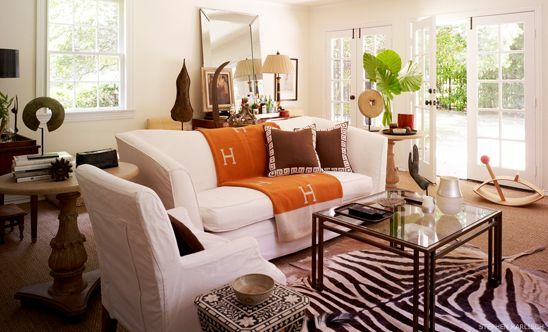 Use an image with simple lines. Set your wax paper over the image. Mix a small amount of dish soap with a little bit of water and spread it over the wax paper. Trace the image with the hot glue. 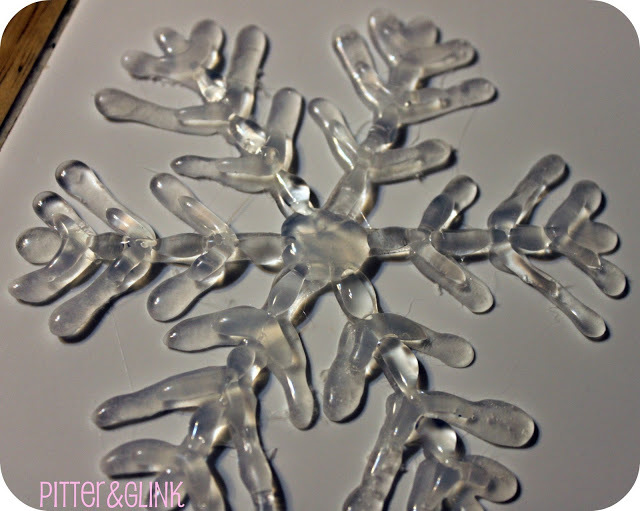 Wait for the hot glue to dry, then peel off the snowflake. 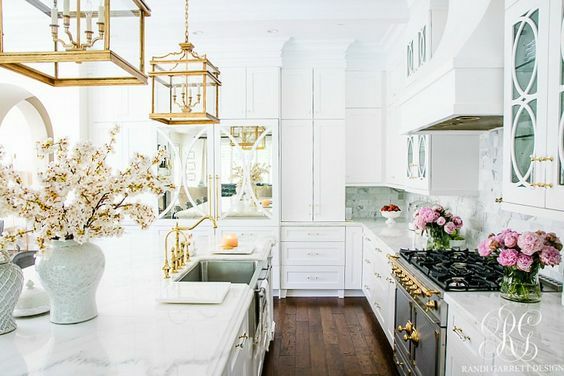 Gently wash the ornament with a little bit of water to remove the dish soap. 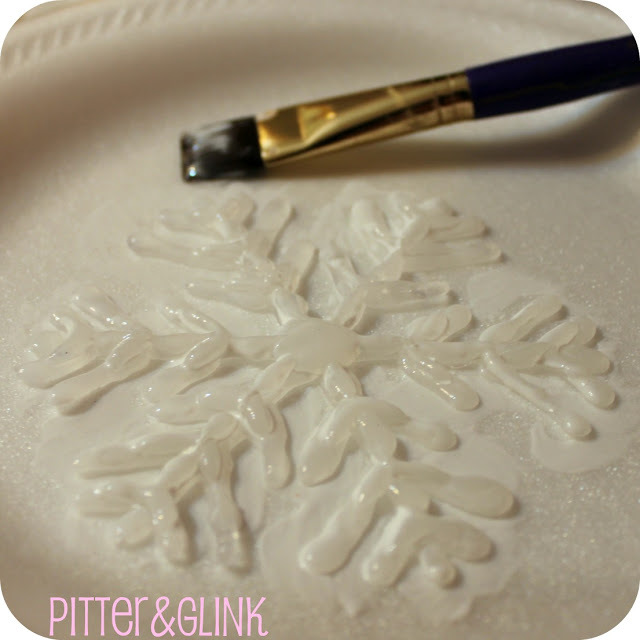 Cover your snowflake with Mod Podge using a small brush. 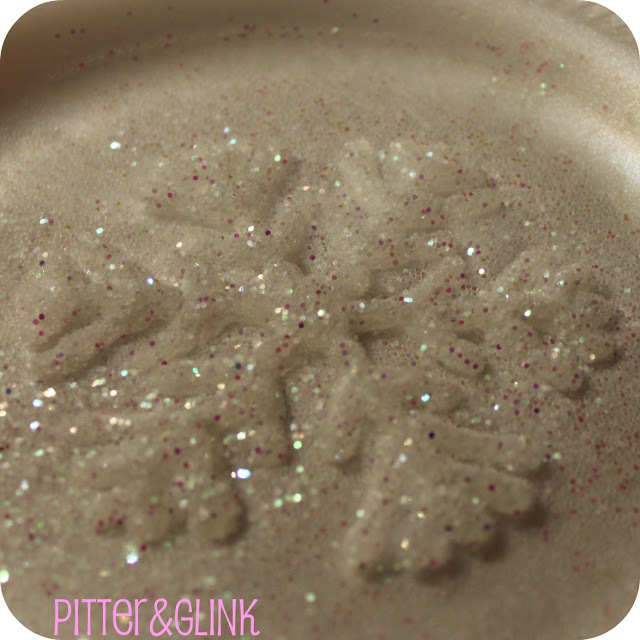 Cover the snowflake with glitter. 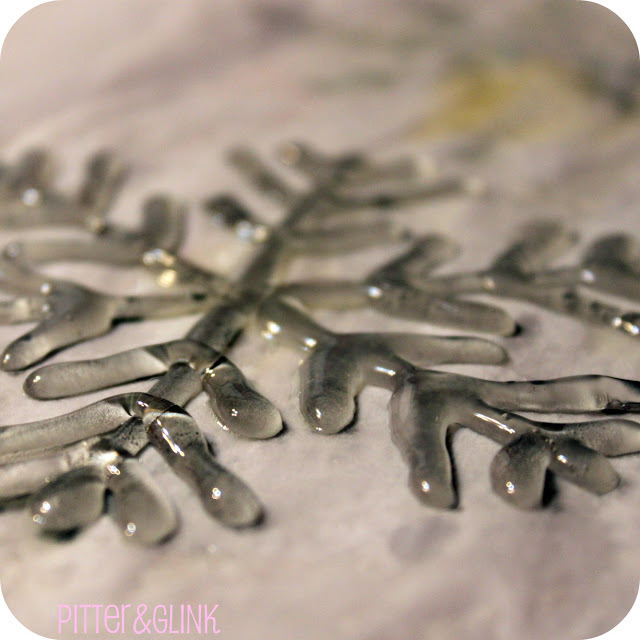 Add a hanger to your snowflake by making a loop out of wire and glue it to the back of the snowflake. 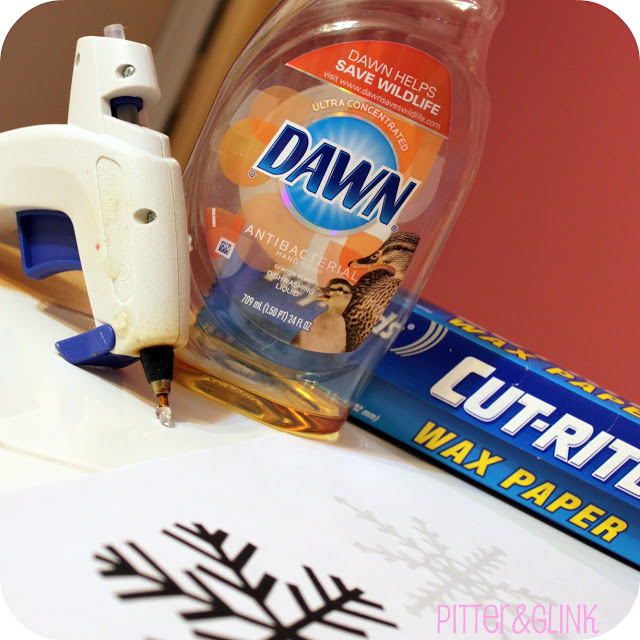 Wait for the glue to dry and hang up your ornament! Photos and idea: By Stephanie Lynn. 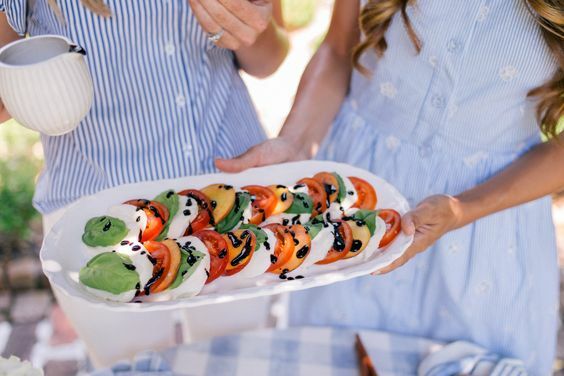 They are lovely and look so simple to make. I do have a question though. 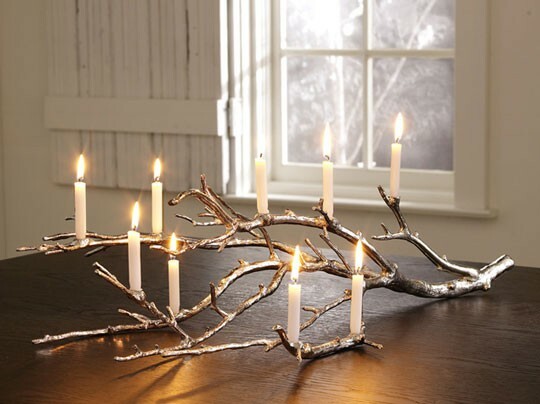 As we all know, even the oldest stuck on hot glue can easily be removed simply by heating it up a little with a blow dryer or other heat source. 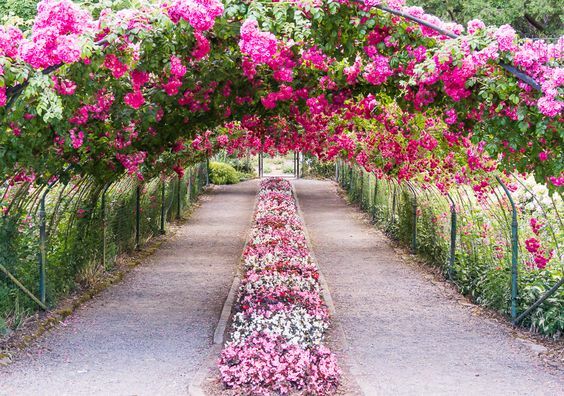 What prevents this from getting all sticking and losing their shape while packed away in the heat of the summer. The attic can get quite warm.